Fairy Musical Jack In The Box. A new addition to our retro musical gift range. This is a reminder of days gone by, our musical Fairy Jack In The Box is a replica of those produced many years ago and were found in many childrens toy boxes. 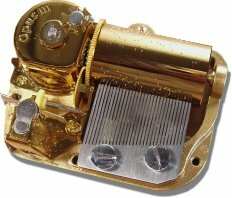 When the handle on the side is wound the musical movement plays the tune 'Pop Goes The Weasel', when the tune reaches the end the fairy pops up from the inside of the box. The external casing of the box is tin and it is shipped within a decorative card surround. 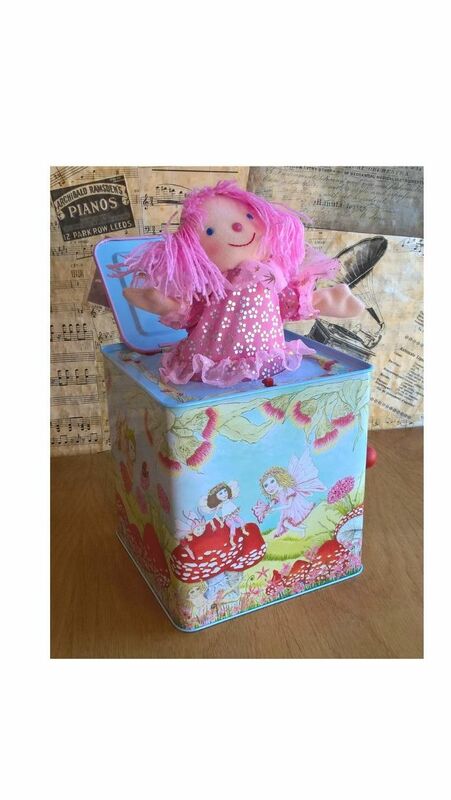 The fairy is housed inside the box and appears when the lid pops open at the end of the tune. The fairy can then be pushed back into the box and the lid closed down so that when the handle is wound again the fairy will pop up again. Sure to provide endless hours of fun. Dimensions:- Approx. 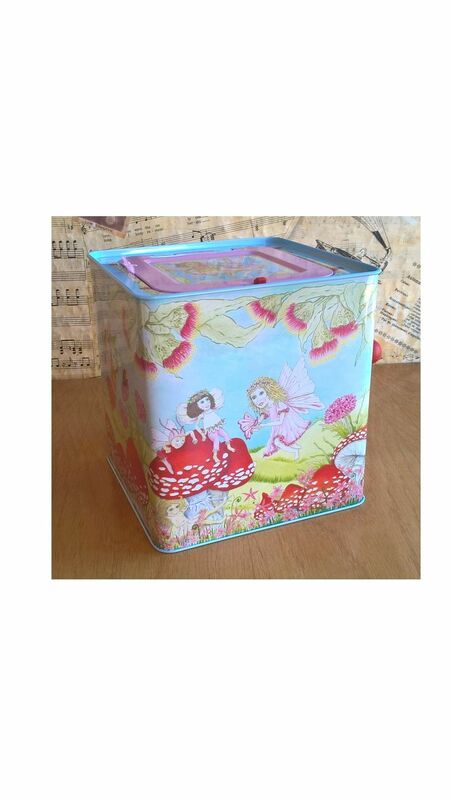 dimensions of box 140mm x 140mm x 145mm high (not including open lid and fairy). When the fairy has 'popped up' the overall height is approximately 255mm. IMPORTANT NOTICE - Our range of retro musical gifts are not toys. They are a collectible item, so children should be supervised if handling them. They are not suitable for very young children or babies due to small parts. If you are unsure about suitability, please ask one of our staff for guidance.